Viacom International Media Networks (VIMN) Spain, a division of Viacom Inc. (NASDAQ: VIA, VIAB), a leading provider of youth and general entertainment content, and Parques Reunidos, one of the leading and fastest growing leisure park operators in the world, have today, Wednesday 30th April 2014, announced in the following press release the opening of Nickelodeon Land, the first Nickelodeon-branded attraction in Spain! Nickelodeon, one of the world's leading global entertainment brands for kids and family, has brought its characters, interactive shows, and attractions to Parque de Atracciones in Madrid, one of the region's most popular tourist destinations, receiving millions of visitors every year. Nickelodeon Land will feature 15,000 square meters of customized Nickelodeon-branded attractions including 10 new rides such as "Dora's Adventure" and "Teenage Mutant Ninja Turtles – License to Drive", two live theatrical shows, including SpongeBob's "Krabby Patty Celebration", street entertainment features the "Teenage Mutant Ninja Turtles", and meet and greets with some of Nickelodeon's most beloved characters including SpongeBob SquarePants, Patrick Star, Dora the Explorer, the Teenage Mutant Ninja Turtles, amongst many others. Nickelodeon Land will also include a restaurant, shopping and leisure areas and the world's first SpongeBob Pineapple House, where families and kids can take a picture in his home! 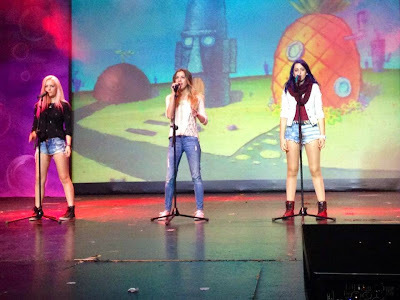 To celebrate the opening "Nickelodeon Land at Parque de Atracciones", the opening ceremony included a very special performance by the Spanish girlband Sweet California. "Nickelodeon Land at Parque de Atracciones" will join several other Nickelodeon-branded attractions and parks around the world. In addition to Nickelodeon Universe in Minneapolis' Mall of America, SeaWorld on the Gold Coast (Australia), Wet n Wild Sydney (Australia), Nickelodeon Land at Pleasure Beach Blackpool (UK) and Nickland at Movie Park Germany, there are Nickelodeon attractions at Universal Studios in Orlando, Florida and Hollywood, California. London/Madrid 30 April 2014 – Viacom International Media Networks (VIMN) Spain, a division of Viacom Inc. (NASDAQ: VIA, VIAB), a leading provider of youth and general entertainment content and Parques Reunidos, one of the leading and fastest growing leisure park operators in the world, today announced the opening of Nickelodeon Land, the first Nickelodeon-branded attraction in Spain. Nickelodeon, one of the world’s leading global entertainment brands for kids and family, has brought its characters, interactive shows, and attractions to Parque de Atracciones in Madrid, one of the region’s most popular tourist destinations, receiving millions of visitors every year. Nickelodeon Land will feature 15,000 square meters of customized Nickelodeon-branded attractions including 10 new rides such as “Dora’s Adventure” and “Teenage Mutant Ninja Turtles – License to Drive”, two live theatrical shows SpongeBob’s “Krabby Patty Celebration”, street entertainment features the “Teenage Mutant Ninja Turtles”, and meet and greets with some of Nickelodeon’s most beloved characters including SpongeBob SquarePants, Patrick Star, Dora the Explorer, the Teenage Mutant Ninja Turtles, amongst many others. Nickelodeon Land will also include a restaurant, shopping and leisure areas and the world’s first SpongeBob Pineapple House, where families and kids can take a picture in his home. "We are thrilled to bring this new Nickelodeon attraction to our fans in Spain with our great partners at Parque de Atracciones de Madrid," says Gerald Raines, Vice President, Recreation Business Development, Nickelodeon. "Nickelodeon Land will give kids and families in Spain, and those who visit the park from surrounding regions, the opportunity to experience our Nickelodeon characters in a new and exciting way." Diego Gracia, General Manager of Parque de Atracciones de Madrid, added, "Nickelodeon Land is a big part of the renewal strategy we began 10 years ago to upgrade our grounds and offerings. We've already seen positive results, and the addition of Nickelodeon Land will take us to a whole new level. The park now offers a Nickelodeon-themed area where families can enjoy a "family day" full of new Nickelodeon-branded rides, attractions, and characters. Nickelodeon Land at Parque de Atracciones will join several other Nickelodeon-branded attractions and parks around the world. In addition to Nickelodeon Universe in Minneapolis' Mall of America, SeaWorld on the Gold Coast (Australia), Wet n Wild Sydney (Australia), Nickelodeon Land at Pleasure Beach Blackpool (UK) and Nickland at Movie Park Germany, there are Nickelodeon attractions at Universal Studios in Orlando, Fla. and Hollywood, Calif.
Viacom International Media Networks (VIMN), a unit of Viacom Inc. (NASDAQ: VIA, VIAB), is comprised of many of the world's most popular multimedia entertainment brands, including MTV, Nickelodeon, Comedy Central, BET, Paramount Channel, VH1, VIVA, COLORS, Game One and Tr3s: MTV, Música y Más. Viacom brands are seen globally in more than 600 million households in 170 territories and 37 languages via more than 200 locally programmed and operated TV channels and more than 550 digital media and mobile TV properties. For more information about Viacom and its businesses, visit www.viacom.com. Keep up with Viacom news by following Viacom's blog at blog.viacom.com and Twitter feed at www.twitter.com/Viacom. Follow NickALive! on Twitter, Tumblr, Google+, via RSS, on Instagram, and/or Facebook for all the latest Nick Spain and Nickelodeon Land at Parque de Atracciones News! The British national daily newspaper The Guardian is reporting the very exciting Viacom news in the following article that the English publisher and businessman Richard Desmond is poised to announce the sale of the Free-To-Air (FTA) UK commercial Public Service Broadcaster Channel 5 to Viacom, the parent company of the Nickelodeon and MTV brands, for as much as £450m! The US broadcaster is expected to announce the deal to the New York stock market on Thursday 1st or Friday 2nd May 2014 at the latest. The deal is short of the typically aggressive £700m-plus target originally set by Desmond, the owner of the Daily Express and Daily Star. It is not clear what Viacom will do with Channel 5's £350m-a-year TV ad sales business. But it is thought likely that it will involve Rupert Murdoch's Sky. BSkyB handles the TV ad sales in the UK for Viacom – the US broadcaster is Sky Media's biggest customer – and it is most likely to incorporate Channel 5's sales into its existing deal. It is currently unknown whether Viacom will operate Channel 5's from Viacom International Media Networks (VIMN) UK & Ireland's Hawley Crescent headquarters in Camden Lock, the same building and television studios (then called "Breakfast Television Centre") that former UK breakfast television station "TV-am" used to broadcast from. Desmond based his valuation on 10 times anticipated profits of £70m this year, but a number of analysts had set a top end valuation of £400m to £500m. The deal would allow the US pay-TV company to make a major move into free-to-air television in the UK. In the UK Viacom International Media Networks has moved into commissioning more original, homegrown shows for its key channels Nickelodeon, MTV, and Comedy Central. Viacom has invested heavily in entertainment, reality and children's television, which would make it a good fit for Channel 5. It makes shows such as MTV's structured reality series "Geordie Shore" – which made a star of Charlotte Crosby, who went on to win Channel 5's hit reality series "Celebrity Big Brother". In addition, along with Channel 5, Viacom invested in "Peppa Pig" via Nickelodeon UK's preschool channel, Nick Jr., which airs in Channel 5's children's programming strand Milkshake and on Nick Jr. UK and Ireland. Channel 5 shows include the US drama imports "CSI" and "The Mentalist", "Eddie Stobart: Trucks & Trailers", "The Hotel Inspector" and "Extreme Fishing with Robson Green". Channel 5's children's segment Milkshake features shows including "Peppa Pig", "Fireman Sam" and "Thomas & Friends". Channel 5 has seven channels – the flagship Channel 5, 5* and 5 USA, a +1, one-hour time-shifted variant for each, and Channel 5+24 – some of which could be converted to pay services. Rivals including BSkyB and Discovery, which was considered the frontrunner to buy Channel 5, have expanded their operations into the free-to-air market. Richard Desmond is poised to announce the sale of Channel 5 to the US broadcaster that owns MTV for as much as £450m. The US broadcaster, which owns channels including Nickelodeon and Comedy Central, is expected to announce the deal to the New York stock market on Thursday or Friday at the latest. But it nonetheless makes for a significant profit on the £103.5m he paid to buy the then loss-making Channel 5 from the German broadcaster RTL in 2010. In the UK it has moved into commissioning more original, homegrown shows for its key channels MTV, Comedy Central and Nickelodeon. It makes shows such as MTV's structured reality series Geordie Shore – which made a star of Charlotte Crosby, who went on to win Channel 5's Celebrity Big Brother. In addition, along with Channel 5, Viacom invested in Peppa Pig via Nick Jr, which airs on Channel 5's children's segment Milkshake and on Nick Jr.
Channel 5 shows include the US drama imports CSI and The Mentalist, Edie Stobart: Trucks & Trailers, The Hotel Inspector and Extreme Fishing with Robson Green. The broadcaster's children's strand Milkshake features shows including Peppa Pig, Fireman Sam and Thomas & Friends. Channel 5 has six channels – the flagship Channel 5, 5* and 5 USA, and a +1, one-hour time-shifted variant for each – some of which could be converted to pay services. Viacom declined to comment. Northern & Shell, Channel 5's parent company, said no deal had yet been concluded. Nickelodeon Commissions New Show "ReactToThat" From The Fine Bros. The official website of the entertainment industry newspaper Variety, Variety.com, is reporting the exciting Nickelodeon News in the following article that, after ordering the pilot, Nickelodeon has placed a 13-episode order for a brand-new show called "ReactToThat" from YouTube comedy team The Fine Bros., which will be based on their popular web franchise showing kids responding to viral videos! Nick USA will air the show during late 2014. The brothers, Benny and Rafi Fine, are working with actor-comedian-rapper Nick Cannon on the TV adaptation through his Ncredible Entertainment production company. Cannon and the Fine Bros. are also working on a pilot for the Sundance Channel that's a pop-culture riff on the "React" format. 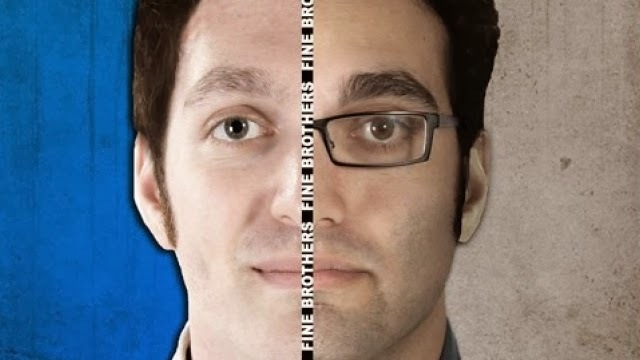 The Fine Bros., who are affiliated with YouTube multichannel network Fullscreen, run one the biggest channels on the website, with 8.1 million subscribers and 1.58 billion video views to date. Nickelodeon Greenlights TV Series 'ReactToThat' from YouTube's Fine Bros.
Nickelodeon has placed a 13-episode order for “ReactToThat” from YouTube comedy team The Fine Bros., based on their popular web franchise showing kids responding to viral videos. Nick will air the show later in 2014. The brothers, Benny and Rafi Fine, are working with actor-comedian-rapper Nick Cannon on the TV adaptation through his Ncredible Entertainment production company. Cannon and the Fine Bros. also are working on a pilot for the Sundance Channel that’s a pop-culture riff on the “React” format. Nickelodeon previously has procured programming based on YouTube material, including a half-hour sketch-comedy show last year from DreamWorks Animation's AwesomenessTV and projects with Lucas Cruikshank (creator of the Fred Figglehorn character). In late 2013, the Fine Bros. struck a deal with Fullscreen, which is funding production of new content from the duo, including an untitled feature film. “ReactToThat” exec producers are Nick Cannon, Michael Goldman, Benny and Rafi Fine, and Max Benator, who is the Fine Bros.’s manager. The Fine Bros. are repped by WME. Follow NickALive! on Twitter, Tumblr, Google+, via RSS, on Instagram, and/or Facebook for all the latest Nickelodeon and ReactToThat News! To celebrate and promote Nickelodeon UK's preschool channel, Nick Jr. UK and Ireland, starting to show the brand-new mixed media animated preschool series "Lily's Driftwood Bay" in May 2014, NickJr.co.uk has unveiled the channels official "Lily's Driftwood Bay" show website, which you can visit here at www.nickjr.co.uk/shows/lilys-driftwood-bay! Nick Junior UK's official "Lily's Driftwood Bay" webpage features information about the series and each of the characters in the show - Lily, Dad, Gull, Salty Dog, Nonna Dog, Hatsie Hen, Wee Rabbit, Bull, Lord Stag and Puffin - plus online streaming videos featuring clips from episodes of "Lily's Driftwood Bay" - Old Bertha, Starfish In The Sky and Honking Haddock - a 'Create' area featuring fantastic crafts and activities, including colouring in sheets and downloadables, and a exclusive game, Lily's Hide and Seek! Catch Nick Jr. UK's brand-new show, "Lily's Driftwood Bay", premieres daily at 5:45pm, 5:50pm and 6:05pm from Monday 5th May 2014, only on Nick Jr. UK and Ireland (repeated at 6:45pm, 6:50pm and 7:05pm on Nick Jr.+1)! 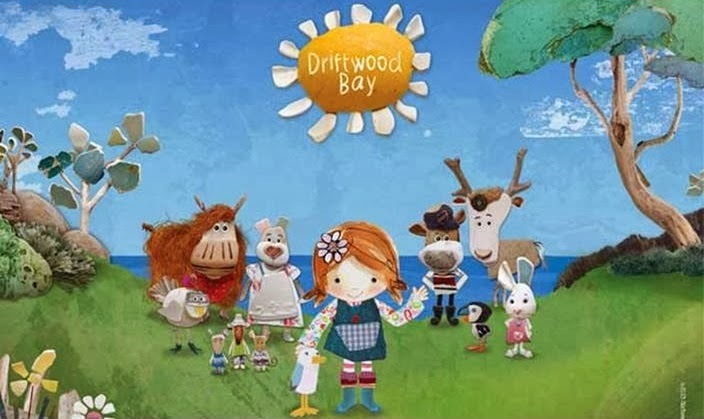 "Lily's Driftwood Bay" (52 x 7 minute episodes) is a all-new mixed media animated preschool series commissioned by Nick Jr. UK which is about a little girl who creates an imaginary world from treasures she finds washed up on the beach. The series features a top-notch voice cast which includes Stephen Fry ("QI" ("Quite Interesting"), "The Hobbit", "Blackadder", "Gadget Man"), Peter Mullan ("Harry Potter", "Top of the Lake"), Tameka Empson ("EastEnders", "3 Non-Blondes"), Jane Horrocks ("Sunshine on Leith", "Absolutely Fabulous"), Ardal O'Hanlon ("Father Ted", "London Irish", "My Hero"), Annette Crosbie ("One Foot in the Grave", "Hope Springs") and Richard Dormer ("Game of Thrones", "Good Vibrations", "Fortitude")! "Lily's Driftwood Bay" follows Lily (Orlagh O'Keefe from Belfast), a five year old who lives in a beach hut on the shore with her Dad (Dormer). Everyday, the sea washes up a curious new treasure, which sparks Lily's imagination about what might be happening 'across the way on Driftwood Bay'. And so, with her best friend Gull - the clever seagull (Paul Currie), an adventure begins as they head off to Driftwood Bay – and its cast of colourful inhabitants. There's Salty Dog (Mullan), the jolly seafaring sailor with a story for every occasion; Nonna Dog (Crosbie), a sage granny who runs Cockle Café and who's always ready with some advice and a biscuit; Hatsie Hen (Empson), a train-driving hen with a need for speed and a love of excitement; Bull (O'Hanlon), a boisterous bull who always charges head first into things (sometimes literally); Wee Rabbit (Horrocks), a gentle young bunny with a love of art, fairy tales and rainbows; and Lord Stag (Fry) an aristocratic deer with a taste for the finer things in life. A unique series about making fun and adventure from things that you find, "Driftwood Bay" was created by Sixteen South, based on an original idea from artist Joanne Carmichael, and featuring characters and environments completely created from objects found washed up on the beach. "Driftwood Bay" received funding from the Northern Ireland Screen Fund supported by Invest NI and part funded by the European Regional Development Fund. Update (1/5/2014): Nick Jr. UK and Ireland will be showing brand-new episodes of "PAW Patrol" on Friday 2nd May 2014 only. Apologies for any inconvenience caused. 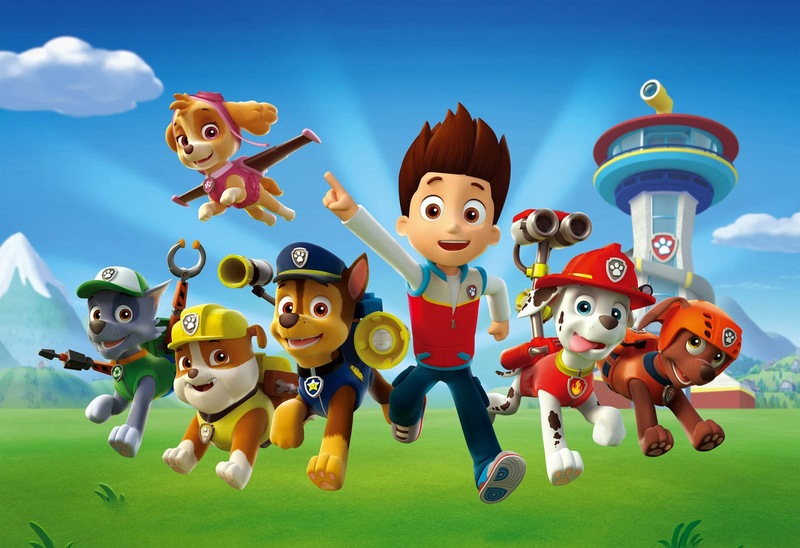 Additionally, Nick Jr. UK has announced that, even though we love all the PAW Patrol heroes equally, there someone especially pup-ular with Nick Jr.'s fans - Marshall the fire fighting Dalmatian! Nickelodeon UK and Ireland's preschool channel, Nick Jr. UK and Ireland, has announced the PAW-tastic news in a series of Tweets (posts) on their official Twitter profile page, @NickJrUK, and in the "What's On" schedule section on their official website, nickjr.co.uk, that Nick Jr. UK and Ireland will be showing more brand-new episodes of Nickelodeon Preschools all-new CGI-animated preschool series "PAW Patrol" on Friday 2nd May 2014 at 4:00pm and 4:15pm (repeated at 5:00pm and 5:15pm on Nick Jr.+1)! If new episodes of #PAWPatrol wasn't enough, we've also got NEW episodes of #ZackandQuack THIS Friday at 4:45pm! - 29/4/2014. 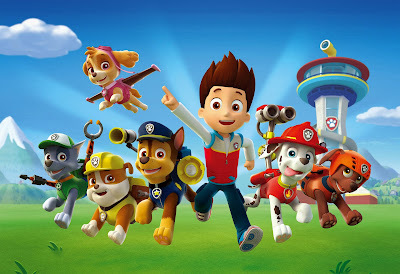 Friday 2nd May 2014 - Pups Save a Goodway: When Adventure Bay's famous statue ends up at the bottom of the Bay, Ryder and the Paw Patrol have to help Mayor Goodway and find a clever way to bring it back! [subtitles] & Pups Save a Tooth: Alex is afraid to go to the dentist, so Chase and the PAW Patrol work together to show Alex that fears can be overcome. Follow NickALive! on Twitter, Tumblr, Google+, via RSS, on Instagram, and/or Facebook for all the latest Nick Jr. UK, Paw Patrol and Zack and Quack News! Nickelodeon, the number-one entertainment brand for kids and families, has announced in the following press release, from TVByTheNumbers.com, the exciting Nickelodeon News that Nick USA closed April 2014 as the top basic cable network in total day with Kids 2-11 (2.7/872K, up +4% versus a year ago) and total viewers (1.6M), securing its fourth straight monthly win driven by its hit animation and preschool roster! Nickelodeon's portfolio of hit preschool series landed four of the top five spots with Kids 2-5 in April 2014: "PAW Patrol" was number-one with a 6.4/787K (+36%) with preschoolers; "Wallykazam!" followed with a 6.1/750K (+30%); "Bubble Guppies" averaged a 5.9/732K (+16%); and "Team Umizoomi" earned a 5.9/728K (+20%). "SpongeBob SquarePants" ranked as the number-one animated series for the month with Kids 2-11 (4.5/1.4M, up +2% over last year) and total viewers (2.8M). Nick at Nite was first with Women 18-49 among all basic cable nets in total day, averaging a 0.6/302K. Additionally, Nickelodeon's niche nets – Nicktoons and TeenNick – scored their best ever April performances with their core demos and posted double and triple-digit year over year gains for the month: Nicktoons averaged 193K total viewers (+36%) and posted a 0.5/71K with Kids 6-11 (+73%); TeenNick averaged a 0.5/72K with Teens 12-17 (+114%) and scored 225K total viewers (+94%). For its final week in April 2014 (Monday 21st to Sunday 27th April 2014), Nick's "Sam & Cat" was the number-one live-action series with Kids 2-11 (4.2/1.3M, up +20%), Kids 6-11 (5.4/1.1M, up +35%) and total viewers (2.5M). In preschool, "Wallykazam!" was the top series with Kids 2-5, averaging a 7.4/911K (+51%). It was followed by "PAW Patrol", which averaged a 7.1/873K (+69%) with the demo. NEW YORK – April 29, 2014 – Nickelodeon closed April as the top basic cable net in total day with Kids 2-11 (2.7/872K, up +4% versus a year ago) and total viewers (1.6M), securing its fourth straight monthly win driven by its hit animation and preschool roster. Nickelodeon’s portfolio of hit preschool series landed four of the top five spots with Kids 2-5 this month: PAW Patrol was number-one with a 6.4/787K (+36%) with preschoolers; Wallykazam! followed with a 6.1/750K (+30%); Bubble Guppies averaged a 5.9/732K (+16%); and Team Umizoomi earned a 5.9/728K (+20%). 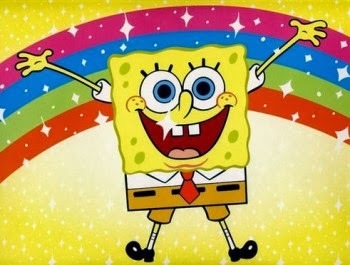 SpongeBob SquarePants ranked as the number-one animated series for the month with Kids 2-11 (4.5/1.4M, up +2% over last year) and total viewers (2.8M). Nick at Nite was first with Women 18-49 among all basic cable nets in total day, averaging a 0.6/302K. Additionally, Nickelodeon’s niche nets – Nicktoons and TeenNick – scored their best ever April performances with their core demos and posted double and triple-digit year over year gains for the month: Nicktoons averaged 193K total viewers (+36%) and posted a 0.5/71K with Kids 6-11 (+73%); TeenNick averaged a 0.5/72K with Teens 12-17 (+114%) and scored 225K total viewers (+94%). For its final week in April (4/21/14-4/27/14), Nick’s Sam & Cat was the number-one live-action series with Kids 2-11 (4.2/1.3M, up +20%), Kids 6-11 (5.4/1.1M, up +35%) and total viewers (2.5M). In preschool, Wallykazam! was the top series with Kids 2-5, averaging a 7.4/911K (+51%). It was followed by PAW Patrol, which averaged a 7.1/873K (+69%) with the demo. Nickelodeon, the number-one entertainment brand for kids and families, has announced in the following press release, from Business Wire, the exciting Nickelodeon Preschool News that The Fresh Beat Band, Nickelodeon's hit preschool music group and stars of the hit Emmy Award-winning TV series of the same name, are giving kids and families the chance to see them live this summer as they hit the road again! The wildly popular "The Fresh Beat Band Live in Concert Tour" resumes Friday 1st August 2014 in Costa Mesa, California, at the 2014 OC Fair. Over the past two years, more than 600,000 fans have seen the show, making it one of the most successful family music tours in recent years. Pre-sale tickets along with Fresh Beat Band VIP packages with meet and greets will be available at www.freshbeatbandlive.com and www.ticketmaster.com beginning Tuesday 29th April 2014. Citi card members through Citi's Private Pass Program at www.CitiPrivatePass.com will also have access to pre-sale tickets beginning April 29. General on-sale will begin Friday 2nd May 2014. "The Fresh Beat Band Live in Concert" Tour Presented By Nickelodeon features Kiki (Yvette Gonzalez-Nacer), Marina (Tara Perry), Twist (Jon Beavers) and Shout (Thomas Hobson) performing hits from seasons one, two and three of the Nickelodeon live-action TV series. Songs performed will include "Here We Go", "A Friend Like You", "Bananas" and "Just Like A Rockstar", among others. "The Fresh Beat Band" soundtracks – "The Fresh Beat Band: Music From The Hit TV Show" and "The Fresh Beat Band: More Music From The Hit TV Show Vol 2.0" – are currently available on iTunes and in stores everywhere. 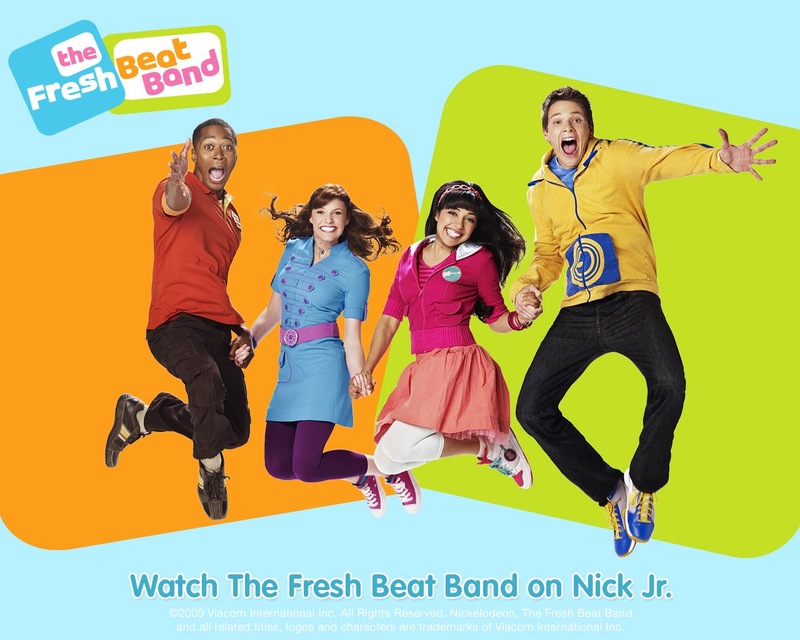 For more information, visit the tour website at http://www.freshbeatbandlive.com and for Fresh Beat activities and fun go to http://www.nickjr.com/the-fresh-beat-band/. Additionally, Nickelodeon recently announced "Fresh Beat Band of Spies", a brand-new animated preschool series based on the hit live-action show, "The Fresh Beat Band". In the new series, the four bandmates are also a group of undercover spies. The pop band uses their individual talents and the coolest transforming spy gadgets to outwit a goofy cast of bad guys and solve an endless series of wild and wacky mysteries. The series, which teaches problem-solving to preschoolers, is created by Nadine van der Velde and Scott Kraft, the creative team behind "The Fresh Beat Band". "Fresh Beat Band of Spies" is currently in production and will premiere on Nickelodeon in 2015. NEW YORK--(BUSINESS WIRE)--The Fresh Beat Band, Nickelodeon’s preschool music group and stars of the hit Emmy Award-winning TV series of the same name, are giving kids and families the chance to see them live this summer as they hit the road again. The wildly popular The Fresh Beat Band Live in Concert Tour resumes Aug. 1 in Costa Mesa, Calif., at the OC Fair. Over the past two years, more than 600,000 fans have seen the show, making it one of the most successful family music tours in recent years. Pre-sale tickets along with Fresh Beat Band VIP packages with meet and greets will be available at www.freshbeatbandlive.com and www.ticketmaster.com beginning Tuesday, April 29. Citi® card members through Citi’s Private Pass Program at www.CitiPrivatePass.com will also have access to pre-sale tickets beginning April 29. General on-sale will begin May 2. "The Fresh Beats have had one of the most popular, in-demand tours for kids and families, so we're bringing the band back out on the road for this special summer tour," said Doug Cohn, SVP, Music, Nickelodeon. "Kids will have another chance to see their favorite rock stars hit the stage for 90 minutes of high-energy, singing, dancing and fun surprises." The Fresh Beat Band Live in Concert Tour Presented By Nickelodeon features Kiki (Yvette Gonzalez-Nacer), Marina (Tara Perry), Twist (Jon Beavers) and Shout (Thomas Hobson) performing hits from seasons one, two and three of the Nickelodeon live-action TV series. Songs performed will include “Here We Go,” “A Friend Like You,” “Bananas” and “Just Like A Rockstar,” among others. The Fresh Beat Band soundtracks – The Fresh Beat Band: Music From The Hit TV Show and The Fresh Beat Band: More Music From The Hit TV Show Vol 2.0 – are currently available on iTunes and in stores everywhere. In each episode of The Fresh Beat Band preschoolers sing and dance along as they help The Fresh Beat Band solve everyday challenges. Preschoolers learn the fundamentals of music such as melody, rhythm, tempo and performance styles and the importance of friendship, working together, and respecting each other’s differences. Ne-Yo, Justin Bieber, Jason Mraz, Wayne Brady and Sarah Chalke have all hung out with the Fresh Beats and the group is beloved by many celebrity parents. Additionally, Nickelodeon recently announced Fresh Beat Band of Spies, a brand-new animated preschool series based on the hit live-action show, The Fresh Beat Band. In the new series, the four bandmates are also a group of undercover spies. The pop band uses their individual talents and the coolest transforming spy gadgets to outwit a goofy cast of bad guys and solve an endless series of wild and wacky mysteries. The series, which teaches problem-solving to preschoolers, is created by Nadine van der Velde and Scott Kraft, the creative team behind The Fresh Beat Band. Fresh Beat Band of Spies is currently in production and will premiere on Nickelodeon in 2015. Follow NickALive! on Twitter, Tumblr, Google+, via RSS, on Instagram, and/or Facebook for the latest Nickelodeon Preschool and The Fresh Beat Band News! Saban Brands has today, Monday 28th April 2014, announced in the following press release, from Business Wire, the exciting Nickelodeon News that Nickelodeon USA's popular preschool channel, Nick Jr. USA, has picked up Saban Brands' animated preschool series "Julius Jr." for a second season! The television series, which is inspired by the creative spirit and lovable characters of Paul Frank, first debuted in the U.S. on Nick Jr. USA in September 2013 and continues to show strong ratings growth with key demographics in its timeslot. Additionally, Saban Brands has also announced in the same press release, below, that throughout the month of May 2014, Nick Jr. USA will premiere brand-new episodes of "Julius Jr." beginning Saturday 3rd May 2014 at 1:00pm (ET/PT). "Julius Jr." regularly airs weekdays at 5:00pm and Sundays at 10:00am (ET/PT) on Nick Jr. USA. "Julius Jr." season one recently debuted on Nick Jr. Australia & New Zealand. In the upcoming season, Julius Jr. and his best pals will enter all-new worlds, including a splash-tastic water park. The gang gets a resident pet when their furry little friend Chachi, an adorable Chihuahua and a Paul Frank favorite, moves in to the Playhouse. Season two will also delight with even more original music, spanning many genres from pop to reggae and dance. In addition, the new season will also include a holiday special where Julius Jr. and his friends visit many worlds through the Hall of Doors to see how each place celebrates the holidays. The show's themes will be brought to life beyond the screen through a brand-new toy line with Fisher-Price Inc., global master toy licensee for the brand. The line will include playsets like the Julius Jr. Rock 'n Playhouse Box, plush assortments and role-play items such as the Box Top Guitar. The toys begin to hit Toys "R" Us shelves starting mid-June 2014 with the full rollout at key retailers to follow in Fall 2014. For more information, please visit www.nickjr.com/julius-jr and be sure to follow the series on Facebook, Twitter, Instagram, Pinterest and YouTube. Julius Jr. Renewed for Second Season by Nick Jr.
LOS ANGELES--(BUSINESS WIRE)--Saban Brands today announced that its animated preschool series Julius Jr. has been picked up by Nick Jr. for a second season in the United States. The television series, which is inspired by the creative spirit and lovable characters of Paul Frank, first debuted in the U.S. on the popular children's network in September 2013 and continues to show strong ratings growth with key demographics in its timeslot. Throughout the month of May, Nick Jr. will premiere brand-new episodes of Julius Jr. beginning Saturday, May 3, at 1 p.m. (ET/PT). Julius Jr. regularly airs weekdays at 5 p.m. and Sundays at 10 a.m. (ET/PT) on Nick Jr.
"Since the show's premiere last September, the characters and adventures of Julius Jr. have captured the hearts of kids and families across the country and the series has become a top-rated show on Sunday mornings," said Elie Dekel, President of Saban Brands. "The second season will introduce exciting new worlds and lovable new characters. Julius Jr. is all about creativity, invention and imaginative play, and with Nick Jr. in the United States we are entertaining and inspiring kids every day." Additionally, the show's themes will be brought to life beyond the screen through a new toy line with Fisher-Price Inc., global master toy licensee for the brand. The line will include playsets like the Julius Jr. Rock 'n Playhouse Box, plush assortments and role-play items such as the Box Top Guitar. The toys begin to hit Toys "R" Us shelves starting mid-June with the full rollout at key retailers to follow in fall 2014. Julius Jr. is an animated preschool series based on the Paul Frank family of characters. Julius Jr. is a funky monkey with a penchant for invention. Together with his best pals, Worry Bear, Sheree, Clancy and Ping, they build a playhouse out of a simple cardboard box. But when they walk inside, to their surprise and delight, they discover that ordinary objects magically come to life and amazing adventures are just a door away. Julius Jr. proves every day that the best inventions are the ones that help your friends. A property of Saban Brands, Julius Jr. airs on Nick Jr. weekdays at 5 p.m. and Sundays at 10 a.m. (ET/PT). Visit www.juliusjr.com for more information. Formed in 2010 as an affiliate of Saban Capital Group, Saban Brands (SB) was established to acquire and develop a world-class portfolio of properties and capitalize on the company's experience, track record and capabilities in growing and monetizing consumer brands through content, media and marketing. SB applies a global omni-channel management approach to enhancing and extending its brands in markets worldwide and to consumers of all ages. The company provides full-service management, marketing, promotion and strategic business development for its intellectual properties including comprehensive strategies unique to each brand, trademark and copyright management and enforcement, creative design, retail development, direct-to-consumer initiatives and specialized property extensions. SB is led by a superior management team with decades of experience in media, content creation, branding, licensing, marketing, digital and finance. SB's portfolio of properties currently includes Power Rangers, Paul Frank, Digimon Fusion, Julius Jr., Popples, Vortexx, Zui.com and The Playforge. For more information, visit www.sabanbrands.com. Nick Jr., the 24-hour network from Nickelodeon dedicated to preschoolers and moms, currently reaches almost 75 million households via cable, digital cable and satellite TV. For more information or artwork, visit www.nickpress.com. Nick Jr. and all related titles, characters and logos are trademarks of Viacom International Inc. (NASDAQ: VIA, VIA.B). Follow NickALive! on Twitter, Tumblr, Google+, via RSS, on Instagram, and/or Facebook for the latest Nickelodeon, Nick Jr. and Julius Jr. News! Nickelodeon, the number-one entertainment brand for kids and families, has announced in the following press release, from Business Wire, the exciting Nickelodeon News that to celebrate Mother's Day, Nickelodeon pays tribute to Moms with the coming together of four classic TV mothers – Marion Ross from "Happy Days", Florence Henderson from "The Brady Bunch", Meredith Baxter-Birney from "Family Ties", Jackée Harry from "Sister, Sister" – and one classic TV daughter, Tempestt Bledsoe from "The Cosby Show", who will join star Tia Mowry-Hardrict in an unforgettable episode of Nick at Nite's award-winning hit family comedy series "Instant Mom", premiering Thursday 8th May 2014 at 8:00pm (ET/PT)! In the brand-new "Instant Mom" Mother's Day special episode "Not Your Mother's Day", Stephanie Phillips (Mowry-Hardrict) is excited for her first Mother's Day, but is disappointed when she learns the family intends to celebrate her on Stepmother's Day instead. 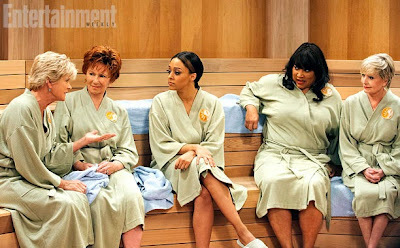 Stephanie takes her own mother, Maggie Turner (Sheryl Lee Ralph) for a last-minute spa trip to celebrate the holiday and gets some unexpected "mom" advice from a few experts who attempt to cheer her up. All four iconic TV moms chime in about their own experience being a mother, giving a hysterical nod reflecting their classic characters. The all-new "Instant Mom" Mother's Day special will reunite star Tia Mowry-Hardrict will her former "Sister Sister" star Jackée Harry, who played Tia's Stepmother Lisa Landry in the Classic Nickelodeon UK comedy series. "Not Your Mother's Day" also guest stars Marion Ross who played Marion Cunningham on "Happy Days", Florence Henderson who portrayed Carol Brady on "The Brady Bunch", Meredith Baxter who played Elyse Keaton on "Family Ties", and Tempestt Bledsoe who portrayed the tole of Vanessa Huxtable on "The Cosby Show". Recently picked up for a second season, "Instant Mom" follows Stephanie (Mowry-Hardrict), a party girl who marries Charlie (Michael Boatman, "Spin City") and struggles to maintain some sense of her fun-loving, slightly irresponsible life while managing being a full-time stepmom. Sheryl Lee Ralph ("Moesha") stars as Stephanie's overbearing mother Maggie, who is never shy about making known her point of view on parenting or pointing out its superiority to her daughter's approach. NEW YORK--(BUSINESS WIRE)--This Mother's Day, Nickelodeon pays tribute to moms with the coming together of four classic TV mothers – Happy Days' Marion Ross, The Brady Bunch's Florence Henderson, Family Ties' Meredith Baxter, Sister, Sister's Jackée – and one classic TV daughter, The Cosby Show's Tempestt Bledsoe who will join star Tia Mowry-Hardrict in an unforgettable episode of Nick at Nite's Instant Mom, premiering Thursday, May 8 at 8 p.m. (ET/PT). In Instant Mom's “Not Your Mother's Day,” Stephanie (Mowry-Hardrict) is excited for her first Mother's Day, but is disappointed when she learns the family intends to celebrate her on Stepmother's Day instead. Stephanie takes her own mother, Maggie (Sheryl Lee Ralph) for a last-minute spa trip to celebrate the holiday and gets some unexpected “mom” advice from a few experts who attempt to cheer her up. All four iconic TV moms chime in about their own experience being a mother, giving a hysterical nod reflecting their classic characters. Recently picked up for a second season, Instant Mom follows Stephanie (Mowry-Hardrict), a party girl who marries Charlie (Michael Boatman, Spin City) and struggles to maintain some sense of her fun-loving, slightly irresponsible life while managing being a full-time stepmom. Sheryl Lee Ralph (Moesha) stars as Stephanie's overbearing mother Maggie, who is never shy about making known her point of view on parenting or pointing out its superiority to her daughter's approach. Nick at Nite is Nickelodeon's nighttime programming block that features popular hit family comedies including the Emmy Award-winning series Friends, My Wife & Kids, George Lopez, The Nanny, Yes, Dear, See Dad Run and most recently, Instant Mom. Follow NickALive! on Twitter, Tumblr, Google+, via RSS, on Instagram, and/or Facebook for the latest Nickelodeon and Instant Mom News! The online British and Irish TV guide website Digiguide is reporting the Winx-Tastic Nick UK news that Nickelodeon UK and Ireland and Nickelodeon HD UK will start to premiere and show brand new episodes from the all-new 26-episode sixth season of the popular animated television series "Winx Club", called "Bloomix", which Nickelodeon co-produced with Rainbow S.r.l., every Saturday and Sunday at 7:30am from Saturday 24th May 2014 (replayed at 8:30am on Nick UK's plus-one timeshift channel, Nick+1), as part of Nick UK and Eire's Spring/Summer 2014 programming highlights! Following the debut of each brand-new "Winx Club: Bloomix" episode, Nick UK will encore each episode that premieres on a Saturday the next day at 7:00am and repeat each episode that premieres on a Sunday the following Saturday at 7am! In season six of "Winx Club", the Trix are back and take over Cloud Tower and ally themselves with a new witch from Earth called Selina. Selina possesses a magical book called the Legendarium that can make myths and legends become real. In order to stop the both Trix and Selina, the Winx Club must achieve a new evolved transformation, and search for Eldora; the fairy godmother who is the only one who knows how the lock the evil book for good. Saturday 24th May 2014 - Inspiration of Sirenix: Daphne's parents and the people of planet Domino celebrate the return of Princess Daphne. Daphne tries to adapt herself at having a body again and mourns over her disconnection from her powers. The Trix use the Beast of the Depths to crash the party. 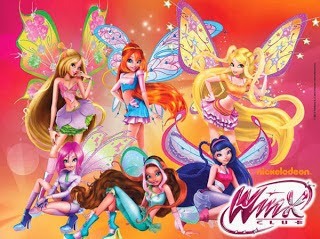 The Winx must find the Inspiration of Sirenix to help Daphne regain her both self-confidence and her powers. When the Winx realize that they are the Inspiration of Sirenix, they help inspire Daphne into having faith in herself so she can transform. Sunday 25th May 2014 - The Legendarium: Daphne starts teaching at Alfea College as the History of Magic teacher. At Cloud Tower, a freshman witch from Earth named Selina introduces herself and shows the powers of the Legendarium, a very powerful book that can make legends become reality. Back at Alfea, the pixies and students are celebrating Faragonda's one hundredth anniversary as headmistress of Alfea. The Trix take over Cloud Tower and turn Griffin into a crow, and Selina allies with them. Follow NickALive! on Twitter, Tumblr, Google+, via RSS, on Instagram, and/or Facebook for the latest Nickelodeon UK and Winx Club News! Nick Jr. USA has announced on the 'Shows' webpage on their official website, nickjr.com, the exciting Nick News that Nickelodeon USA's preschool channel, Nick Jr. USA, will start to premiere and show the popular live action/CG-animated fantasy television series "Mia and Me" on Saturday 3rd May 2014 at 7:00pm EST! The adventure begins Saturday, May 3rd @ 7pm EST on Nick Jr! To celebrate, NickJr.com has launched the channels official "Mia and Me" show website, which features character information for Mia, Mo and Yuko! What if you could go inside your favorite storybook? 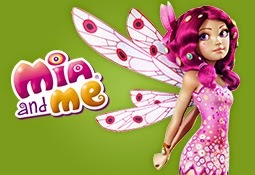 One ordinary girl is about to do just that in Nick Jr's newest show, "Mia and me"! Upon arrival at boarding school, Mia receives a book and bracelet, which have the power to transport her to the magical storybook world of Centopia. Once there, she's transformed into a beautiful flying elf with the ability to talk to unicorns. Now, with the help of her new friends, Mo and Yuko, Mia must set out to save the unicorns of Centopia from a greedy, evil queen! Nickelodeon USA acquired the broadcast rights to "Mia and Me" from the Italian animation studio Rainbow S.r.l. ("Winx Club", "Huntik: Secrets & Seekers") and its co-production partners Lucky Punch and M4e in Germany in March 2014. Follow NickALive! on Twitter, Tumblr, Google+, via RSS, on Instagram, and/or Facebook for the latest Nickelodeon and Nick Jr. USA News and Highlights! The OC Fair & Event Center has announced in the following Press Release, from Marketwired via Yahoo! Finance, the exciting Nickelodeon Preschool News in the following press release that "The Fresh Beat Band", Nickelodeon's preschool music group and stars of the hit television series of the same name, will be performing at the Toyota Summer Concert Series at the Pacific Amphitheatre at the 2014 OC Fair on Friday 1st August 2014 at 6:45pm! Tickets to attend The Fresh Beat Band's performance at the 2014 OC Fair, Nickelodeon's hit preschool band, are available to buy via Ticketmaster or at the OC Fair & Event Center Box Office, which is open Wednesday 5-9pm, Thursday 10am-2pm and Saturday-Sunday 10am-4pm. Tickets are available at all Ticketmaster outlets, online at ticketmaster.com or by phone (800) 745-3000. Tickets prices start at US$24.50. The 2014 OC Fair, themed "Summer Starts Here", is Friday 11th July - Sunday 10th August 2014 and will bring 23 days of food, rides, exhibits, animals, music, action sports and fun, as well as the Super Pass, Toyota Summer Concert Series at the Pacific Amphitheatre and events in The Hangar and Action Sports Arena. The Fair is open Wednesday-Sunday. Concert tickets, action sports reserved seats, single-day general admission and the popular Super Pass are available for purchase online at ocfair.com or from the on-site Box Office. Also on sale are tickets for a performance by rock legend Lynyrd Skynyrd in the Pacific Amphitheatre on Friday 1st August 2014 and performances in The Hangar at the 2014 OC Fair from MenAlive - Orange County Gay Men's Chorus Performing the Music of The Beatles on Sunday 20th July 2014 and Mariachi Sol de Mexico de Jose Hernandez on Sunday 10th August 2014. 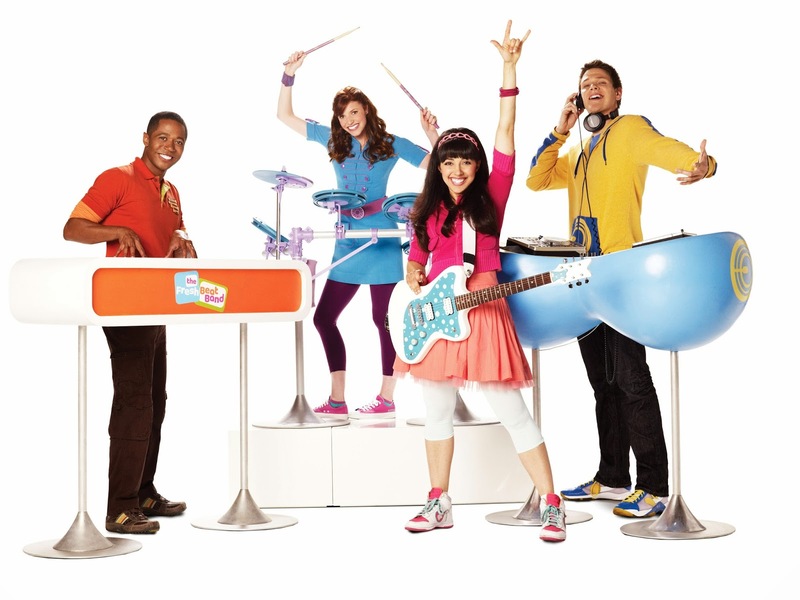 "The Fresh Beat Band" (formerly "The JumpArounds") is a musical preschool series that centers on four best friends – Kiki, Marina, Twist and Shout– in a band who love to sing and dance. 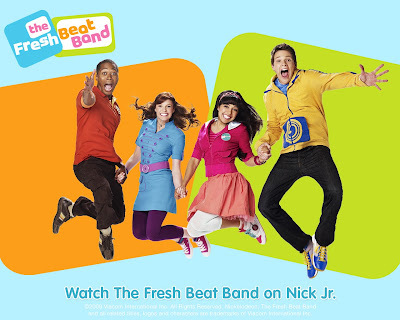 In each episode, preschoolers sing and dance along as they help The Fresh Beat Band solve everyday challenges. Preschoolers learn the fundamentals of music such as melody, rhythm, tempo and performance styles and the importance of friendship, working together, and respecting each other's differences. The series premiered in 2009. CraftFoxes.com, a popular community site for crafters, has announced in the following press release, from PRWeb, that Nickelodeon's preschool brand, Nick Jr., will be a partner in CraftFoxes.com's inaugural The Craftys awards event, a brand-new annual awards event that celebrates the best in craft across the United States. Like the Emmys or the Grammys, The Craftys is positioned to become the ultimate prize for crafters in many different disciplines. The Craftys' Best in Show winner will receive US$1,000 and each category winner gets US$200. Additionally, CraftFoxes.com has also announced in the same press release, below, that Lasette Canady from Nick Jr. will be part of the acclaimed panel of judges of The Craftys. Crafters compete for $3,000 in cash and more in prizes. "This Musicians have the Grammys. Movie stars have the Oscars. Crafters now have The Craftys." The Craftys is a new annual awards event that celebrates the best in craft across the United States. Like the Emmys or the Grammys, The Craftys is positioned to become the ultimate prize for crafters in many different disciplines. The Craftys' Best in Show winner receives $1,000 and each category winner gets $200. "Crafts deserve to celebrated as much as any popular American art form," says Neil Gladstone, who co-founded CraftFoxes.com, the organization behind The Craftys. "There are great crafters and designers whose creations are rarely seen beyond the walls of their living room. The Craftys can help change that." "Red Heart Yarn is committed to celebrating crafters' creativity in big ways," says Carrie Leahew, Marketing Manager for Coats and Clark, a division of the world's largest supplier of crafting products. "The Craftys have the potential to grow into a huge event for creators and the industry." Crafters can enter their best projects online at TheCraftys.com and fans can nominate their favorite makers through May 26. Entry categories include knitting, quilting, scrapbooking, jewelry-making and edible crafts. A special award will also be given to the Best Young Crafter under 18. Even craft enthusiasts have a chance to win a Crafty for the best DIY Pinterest Board or Best Craft Blog. The "Best of Show" award will be presented to one of the category winners for the craft that has it all – creativity, great design and that elusive "It" factor. CraftFoxes.com has been a popular community site for crafters since 2010. Creative minds from around the globe come together on the site to meet, chat and share their ideas. Launched by Loren Lankford (formerly from Etsy), Neil Gladstone (formerly from MTV and AOL) and Lindsay Conner, author of Modern Bee, a book on quilt-making, CraftFoxes offers tutorials and a designer marketplace for a wide variety of crafts such as knitting, sewing, scrapbooking, baking and jewelry-making. Follow NickALive! on Twitter, Tumblr, Google+, via RSS, on Instagram, and/or Facebook for the latest Nickelodeon and Nick Jr. News! The computer and video game industry news magazine MCV is reporting in the following article that John Conlon, the Vice President (VP) of Research at Viacom International Media Networks (VIMN) UK, Australia, Central & Eastern Europe, will be attending Develop Conference in Brighton 2014, which will be held at the Hilton Brighton Metropole between Tuesday 8th to Thursday 10th July 2014. Nine of the biggest brands in the games industry have signed-up to speak at this year's Develop Conference in Brighton. Leading the new speakers is Twitch, as regional director EMEA Stuart Saw will explore the live streaming phenomenon and how developers can maximise the potential of their games on the platform. Nickelodeon's John Conlon will lead a discussion on the importance of utilising the second screen, how they're used at different ages and development stages and what it could mean for broadcasters and app developers. Meanwhile, Boss Alien's Jason Avant will host a talk on how marketing is no longer something that happens outside of game development, but how gameplay itself has become a marketing tool to be taken seriously throughout the development process. Elsewhere and other announced speaker will chair discussions on the hot topics of the development industry, including the rise of virtual reality, funding, new publishing methods and the psychology behind player interaction. Also new for this year's Develop Conference is a marketing track, free indie Boot Camp session and the inaugural Develop Game Jam. "Games development is going through an exciting era of innovation and creativity," said Andy Lane, managing director of Develop in Brighton organiser Tandem Events. "From producing exciting and compelling content for new technology such as VR or next gen consoles to the increasing importance the role of the indie developer plays on the industry, there's a lot to get excited about in 2014." "As always, Develop in Brighton will provide top class content designed to help developers from all spectrums of the industry. And being in Brighton also makes it a fantastic place for networking and sharing experiences with fellow developers which is always invaluable." This year's Develop Conference in Brighton takes place from July 8th to 10th at the Hilton Metropole. It kicks off with the Evolve Conference on July 8th and continues with the Develop Conference, Expo, Indie Showcase, Indie Dev Day, Boot Camp and Audio track throughout July 9th and 10th. A full list of the confirmed sessions and speakers for the Develop Conference 2014 can be found below. Why User Experience Design is a Must for Games? Australian Actor Rahart Adams Joins Cast Of Nickelodeon's "Every Witch Way"
The entertainment news website Deadline.com is reporting the exciting Nickelodeon news in the following article that Australian actor Rahart Adams ("Nowhere Boys", "Neighbours") has joined the cast of Nickelodeon's popular fantasy television series "Every Witch Way"! In EWW, Rahart Adams will play the character Jax, a rebel wizard who uses his powers every chance he gets and is willing to do anything to get what he wants. Rahart is represented by Intellectual Artists Management and Triple Talent Management in Australia. Born in Melbourne, to Australian born parents of Maltese heritage and the second oldest of four children. Rahart studied at Berwick Grammar graduating in Media and Business Studies. Rahart realized his dream of acting/performing after being offered the lead role of Troy in "High School Musical" at his High School play. He pursued drama at TAFTA and Screen Works, and sung with Greg Mills from Young Talent Time for 5 years. While training at TAFTA, he was offered a guest role in the Australian television soap opera – "Neighbours" as Alistair O'Laughlin (2012 – 2013). Rahart starred in TV commercials before being offered the Lead role of Sam on the children's ABC Kids TV series, "Nowhere Boys". "Nowhere Boys" has been nominated for a 2014 AACTA Award in the Best Children's TV series category. In his spare time, Rahart likes to better himself by attending acting workshops and broadening his acting abilities by working on independent student projects. Rahart also dances with Hip Hop Crew, A2D (Addicted to Dance) and has competed in many competitions in Melbourne, Sydney and Las Vegas. He also plays piano, enjoys video gaming and likes to hang out with his family and friends. Rahart Adams also appears in the "Rock Rebellion" episode of the Australian version of CBBC's popular prank show, "Prank Patrol", "Prank Patrol Down Under". A second season of "Every Witch Way" is currently in production. 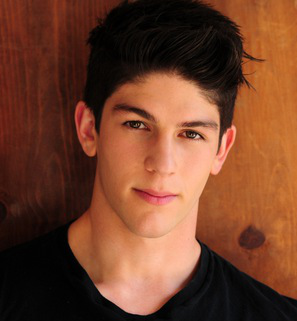 You can follow upcoming Nickelodeon Star Rahart on Twitter at @Rahart_Adams and on Instagram at @Rahart_Adams. Rahart Adams (Nowhere Boys) has landed a series regular role in Nickelodeon’s, Every Witch Way. It centers on a teenage girl who deals with moving to a new town, growing up and falling in love, all while realizing that she’s a witch. Adams, repped by Intellectual Artists Management and Triple Talent Management in Australia, will play Jax, a rebel wizard who uses his powers every chance he gets and is willing to do anything to get what he wants. Follow NickALive! on Twitter, Tumblr, Google+, via RSS, on Instagram, and/or Facebook for the latest news about Every Witch Way and your favorite Nickelodeon Stars! MomoCon, a US-based fan convention, has announced the very exciting Nickelodeon News in the following press release, from PRNewswire, that, to celebrate American animation, Nickelodeon Voice Talent Rob Paulsen, Jess Harnell, Tress MacNeille and Dante Basco will be special guests at the MomoCon Animation and Game Convention, which will be held in Atlanta on Memorial Day Weekend 2014 (Friday 23rd to Sunday 25th May 2014)! Rob Paulsen, Jess Harnell and Tress MacNeille's provide the voices for many characters in popular Nickelodeon shows, movies and video games, including voices for Nickelodeon characters in "The Adventures of Jimmy Neutron", "Barnyard", "Back at the Barnyard", "Big Time Rush", "CatDog", "Catscratch", "ChalkZone", "Danny Phantom", "The Fairly OddParents", "The Penguins of Madagascar", "Planet Sheen", "Random! Cartoons", "Tak and the Power of Juju", "Teenage Mutant Ninja Turtles", "T.U.F.F. Puppy", "The Wild Thornberrys", "Rugrats", "My Life as a Teenage Robot", "Random! Cartoons: Ratzafratz! ", "As Told by Ginger", "All Grown Up! ", "Hey Arnold! ", "Avatar: The Last Airbender", "El Tigre: The Adventures of Manny Rivera", and "SpongeBob SquarePants featuring Nicktoons: Globs of Doom". Collectively, they are known for their work on Warner Bros.'s hit cartoon series "The Animaniacs", as siblings "Wakko Warner", "Yakko Warner", and "Dot Warner". MomoCon 2014 will also welcome Nickelodeon Voice Artist Dante Basco, who is popular for providing the voice of the character "Prince Zuko" in Nickelodeon's phenomenal original animated series "Avatar: The Last Airbender" and "General Iroh" in "The Legend of Korra". ATLANTA, April, 22, 2014 /PRNewswire/ -- MomoCon Animation and Game Convention – held in Atlanta on Memorial Day Weekend 2014 (May 23rd – 25th) – has announced that they will be celebrating American animation with guests representing the Simpsons, Futurama, Avatar: The Last Airbender, Tiny Toons, the Animaniacs, and Pinky and The Brain. Rob Paulsen, Jess Harnell, and Tress MacNeille all have extensive voice acting careers, but collectively they are best known for their work on The Animaniacs, as siblings "Wakko Warner", "Yakko Warner", and "Dot Warner." MomoCon is proud to present the first public reunion of these voice actors since Animaniacs went off the air in 1998. Joining them will be voice actor legend Maurice LaMarche, who starred in Pinky and the Brain with Paulsen. All four of these actors have extensive voice over careers. MomoCon also welcomes Dante Basco, popular for the character "Prince Zuko" in Nickelodeon's phenomenal hit, Avatar: The Last Airbender and "General Iroh" in The Legend of Korra. Topping the list of American animation guests at MomoCon is writer and producer Mike Reiss. He serves as a show-runner, writer and producer for the animated series The Simpsons for over 20 years and co-created the animated series The Critic. In addition to American animation guests, MomoCon welcomes voice actors and creators from Anime and Gaming in 2014. 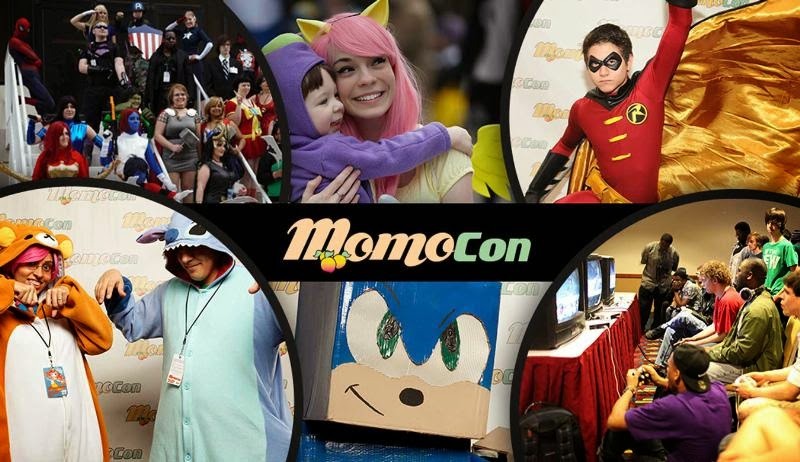 In addition to guests, MomoCon attendees can enjoy over 700 hours of programming include panels and workshops on costuming, culture, animation, and gaming. MomoCon Anime and Gaming Convention in 2013 exceeded all expectations and set a new attendance record of 12,200 people growing by 42% over 2012. The organizers of the events are prepared for a repeat in growth for 2014. The National Association for Multi-ethnicity in Communications (NAMIC), has today, Wednesday 23rd April 2014, announced in the following press release, from PRNewswire, the very exciting Nickelodeon News that Nickelodeon won two prestigious awards at the 2014 NAMIC Vision Awards! Now celebrating the 20th anniversary, the Vision Awards recognizes multi-ethnic and cross-cultural television programming that depicts the lives, spirit and contributions of people of color and best reflects the diversity of the global viewing audience. The 2013 "TeenNick HALO Awards", which celebrated real teens who are "Helping and Leading Others" (HALO) and making a difference in their communities, won a 2014 NAMIC Vision Award in the 'Awards & Honors' category! Additionally, Nick At Nite's hit original family comedy series "Instant Mom", which stars Tia Mowry-Hardrict and Michael Boatman, won a 2014 NAMIC Vision Award in the 'Comedy' category! You can find a full list of 2014 NAMIC Vision Awards winners in NAMIC's press release below. Congratulations to Nickelodeon and everyone who won a prestigious 2014 NAMIC Vision Award! Original programs having aired from November 1, 2012 to November 10, 2013 were recognized in 17 award categories. Eligibility to compete for NAMIC Vision Awards is extended to national broadcast and cable networks, local affiliates, local origination programs from cable operators and VOD content produced for digital platforms. Entries were judged by a distinguished panel of entertainment industry executives. Judging is focused on overall imagery (creative merit, originality, and presentation quality), sensitivity (the consideration given to cultural nuances), writing (the depiction of issues relevant to people of color) and the quality of acting in the performance categories. For more information on the 2014 NAMIC Vision Awards visit http://namicvisionawards.com or contact Sandra Girado, senior director of Meetings and Events, at NAMIC National, 212-594-5985. NAMIC (National Association for Multi-ethnicity in Communications) is the premier organization focusing on multi-ethnic diversity in the communications industry. Founded in 1980 as a non-profit trade association, today NAMIC comprises 2,200 professionals belonging to a network of 16 chapters nationwide. Through initiatives that focus on education, advocacy and empowerment, NAMIC champions equity and inclusion in the workforce, with special attention given to ensuring that the leadership cadres of our nation's communications industry giants reflect the multi-ethnic richness of the populations they serve. For more information, please visit www.namic.com and stay connected to NAMIC on Facebook, LinkedIn, and Twitter. "Sam & Cat" Placed On "Permanent Hiatus"
Nickelodeon UK Announces The Launch of Nick Snr.